A city of Babylonia, some of the inhabitants of which migrated with the Jews under Zerubbabel, but were unable to prove their Israelitish descent (Ezra, ii. 59). In the corresponding list of Neh. vii. 61, the place is called Addon. I Esd. 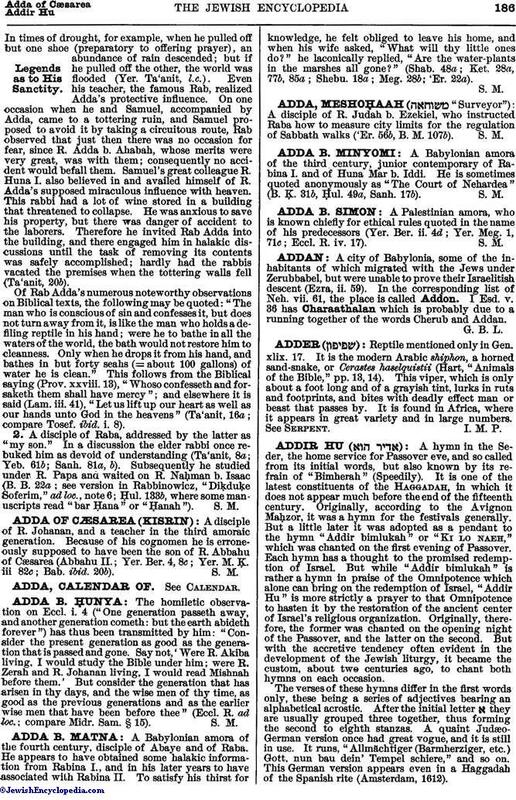 v. 36 has Charaathalan which is probably due to a running together of the words Cherub and Addan.